The country’s GDP currently stands at EUR 1.75 trillion euro and its growth rates are extremely anemics, reaching just 0.9%. 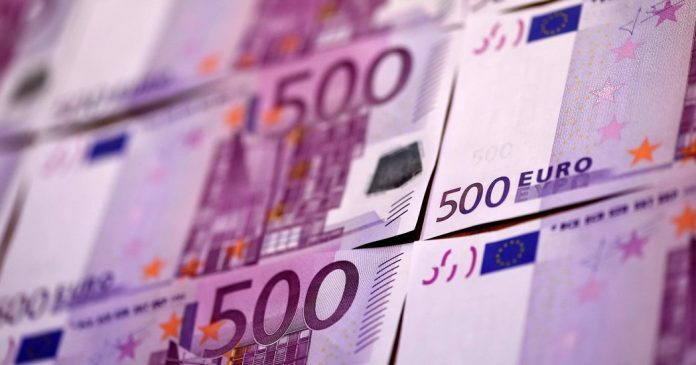 Real per capita Gross Domestic Product (GDP), according to reliable calculations, increased in the period 1969-1998, in which the country had its national currency, the lire, by 104%, while in the period 1999-2016, where the country had already adopted the euro, fell by 0.75%. On the other hand, in the period 1999-2016, Germany’s real per capita GDP grew by 26.1%, making the citizens of that country the most gainers among the main economies of the eurozone. At the same time Italy has the majority of bank branches per inhabitant across Europe, which are additionally characterized by a wrong business model, surviving only by interest and corporate loans. Thus, given that the interest rates in the eurozone are zero, banks are operating loss-making, having accumulated insecurities (red loans) that currently reach about 260 billion euro (15% of Italian GDP), of which much is lost. Therefore, It should be understood that the eurozone is nothing else but a field of conflicting interests among the member countries that make up it. Thus, what is of great interest to Italy is not interest in any case for Germany. However, the reconciliation of interests over the years of the common currency has proved to be impossible. This is because Germany as the first economic power has managed to rule and dominate, using the euro for its benefit, while at the same time the other countries instead of resisting and even colliding, bowing and obeying. However, the cost of delaying Italy’s exit from the eurozone – which has so far prevented at least an apparent fear of the Italian political system for any short-term negative effects of exit – will ultimately prove to be far greater than the cost of rupture in the beginning of the economic crisis. The recent decision by the coalition government of the Movement 5 stars M5S and Lega, formed in May 2018, to submit a budget for 2019 with a deficit of 2.4% of GDP is clearly in the right direction, because it is most important the reinforcement of the Italian economy by strengthening of domestic demand as well as the prosperity of the Italian people, and not Brussels’s strict fiscal regulations imposed by Germany and which do not allow it. Italy must at last cease to retreat to Berlin’s commands and fear the rupture with the German eurozone because it is able to return to the lire and thus regain its political, economic and institutional sovereignty. Despite the current problems, it still has the second largest euro area industry after Germany and the fifth largest in the world, with participation 19% at GDP of the country. Italy produces from aircraft, cars, weapons, electronic systems up to perfumes, shoes and clothes. Italy also needs energy, that is cheap oil and cheap gas, which it does not have. But it could secure oil from its former colony, Libya, and gas from Gazprom. Thus, with low production costs and a flexible national currency, it would become extremely competitive. To sum up, Italy, sailing like a shaken boat into the turbulent sea of the eurozone where blow powerful winds, will sink mathematically if its political leadership does not take, as long as it is still time, the groundbreaking and dynamic decision to return to its national coin. Isidoros Karderinis was born in Athens in 1967. He is a novelist, poet and columnist. He has studied economics and has completed postgraduate studies in the tourism economy. Articles of his have been republished in newspapers, magazines and sites worldwide. His poems have been translated into English, French and Spanish and published in literary magazines and literary sections of newspapers. He has published seven poetry books and two novels. His books have been published in USA, Great Britain, Spain and Italy.